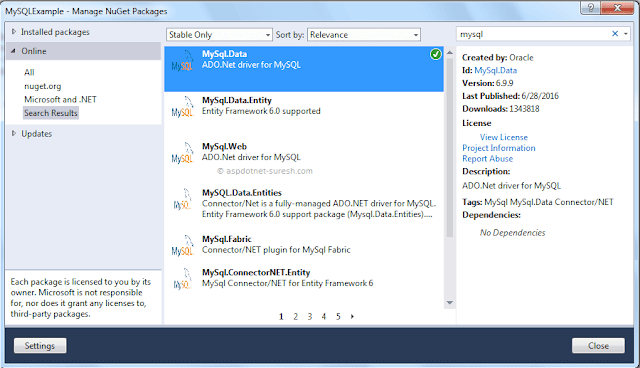 To use MySQL database in our asp.net web application first install MySQL database in your system using following url Download & Install MySQL. In case already if you MySQL installed server available means that would be fine. 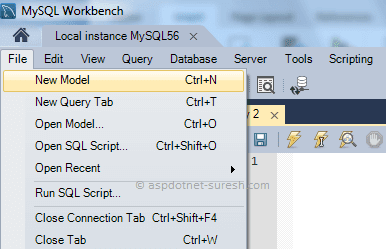 Now we will create new database in our MySQL Server for that click on Local instance server in MySQL Connections section like as shown in above image and enter credential details to connect our server. Once we connect Go to the File --> New Model like as shown below. 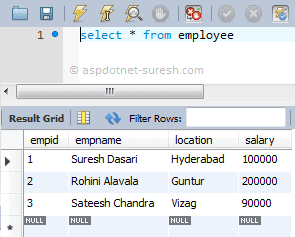 If you want to rename database enter required name in Name field and click on Rename References button. 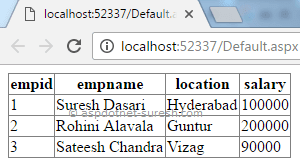 Now we will create new table for that Double Click on Add Table like as shown below. 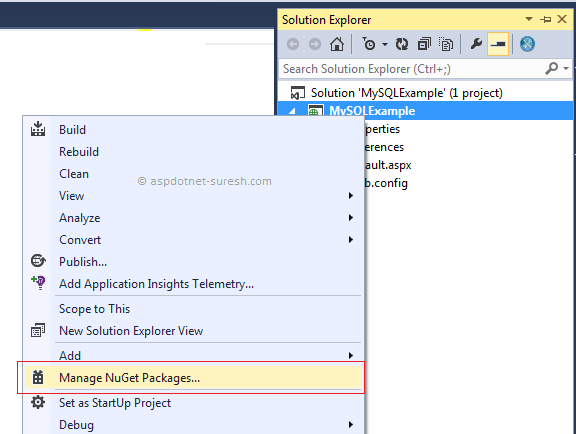 Once we select Manage NuGet Packages it will open new window in that search for mysql and install MySQL.Data once installation done that will show tick mark like as shown below. 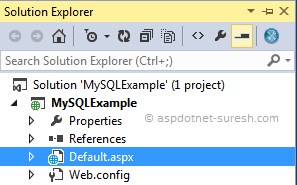 Once we install our MySQL.Data.dll reference will add it in our application like as shown below. 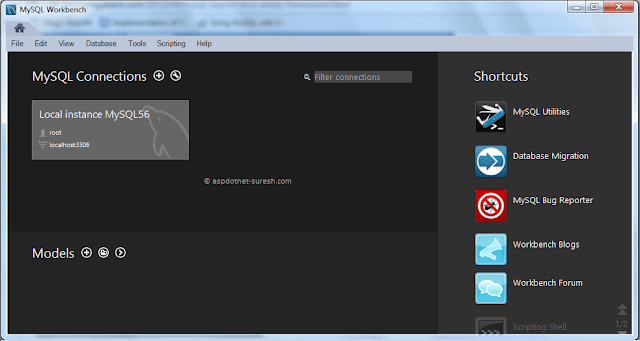 Now open code behind file and write the code like as shown below. If you observe above code we added “MySql.Data.MySqlClient” namespace to access MySQL connection commands. 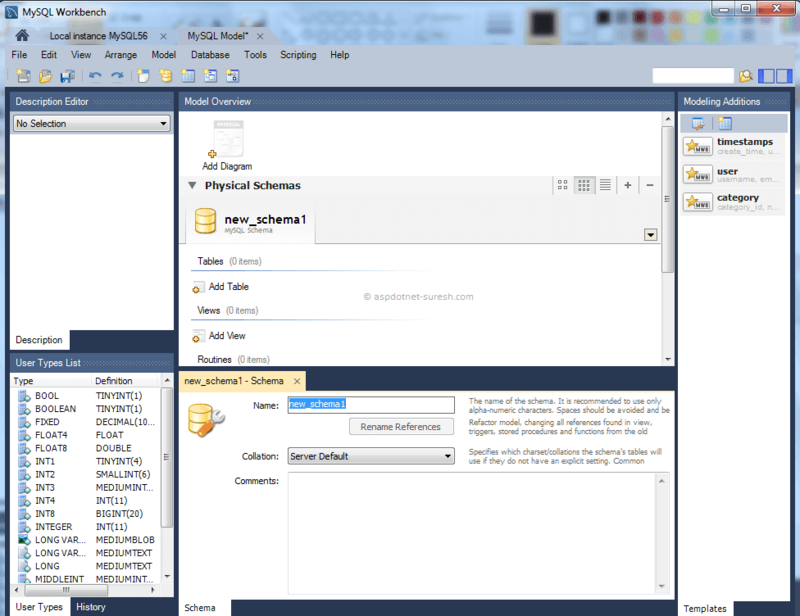 Here our MySQL connection commands are same as SQL Connection but only difference is we added My at the starting of commands (for example MySqlConnection). 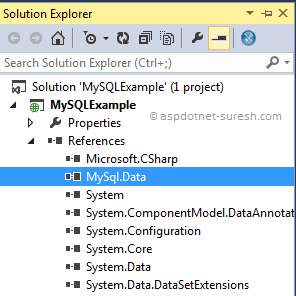 Following is the result of connecting MuSQL database in asp.net web applications. 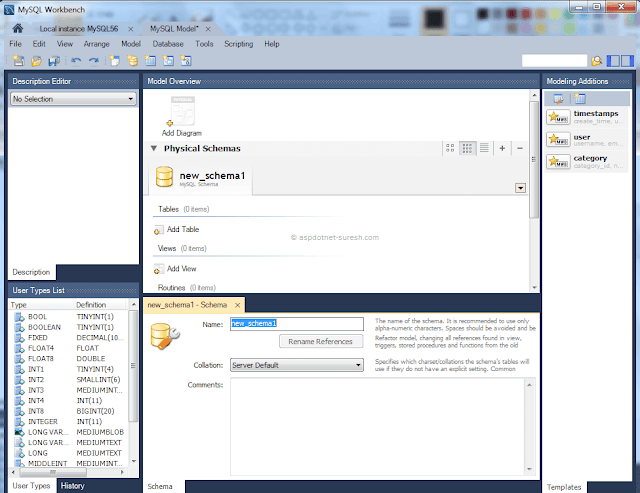 Finally, I learnt how to do connectivity with Mysql after so long.. Thanks Much.